Great selection of hotels for families and couples. 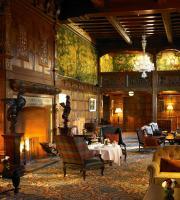 European hotels for all holiday budgets from small, cheap hotels to 5 star luxury spa and golf hotels. The Travellers Guide has some great holiday ideas for weekend breaks, half term and Summer holidays to Europe. This award-wining luxury bed and breakfast accommodation is set in 80 acres of peaceful pasture land with stunning views down the River Nairn Valley to the Culloden Viaduct. La Haule Manor has well maintained gardens and outdoor swimming pool which overlook St Aubin's Bay and Fort. The original manor house dates back to 1430 and is in a great location near some really good local restaurants. It's just a 5 minute walk along the sea wall to St Aubin. All hotel rooms are en-suite and most have fantastic sea views. There are also 2 self catering apartments avaliable for rent for 7 nights or more. The Marriott Manor Hotel and Country Club is a stately Jacobean country manor house located 25 miles north of central London in 200 acres of Hertfordshire parkland, and is home to Hanbury Manor PGA championship 18 hole golf course. London Stansted Airport is 10 miles away, an approximate driving time of 20 minutes. Hotel Features. Built in the 1920's, the grand Art Deco style Park Lane Hotel with a white stone façade and red mansard roof is set on Piccadilly in the exclusive central London area of Mayfair, half a mile from Buckingham Palace. The 305 high ceilinged guestrooms laid out over eight floors have views of Green Park or leafy Mayfair and boast original fireplaces. The understated decor complements the Art Deco features. Situated in the picturesque village of Monte, surrounded by extensive mature gardens, this historic manor house hotel offers elegant rooms with a balcony. Facilities include an indoor pool, a fitness room, and a Turkish bath. 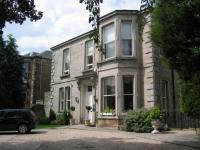 In an exclusive area of Murrayfield, this 5-star Victorian guest house offers luxury accommodation, superb service and free parking. Murrayfield Stadium is nearby. Situated in the beautiful vale of Lorton, Winder Hall is 15 minutes' drive from Keswick. It has a Nordic sauna, a summer house and an outdoor jacuzzi hot tub. Rooms at Winder Hall have bathrooms with luxurious toiletries. With a private stretch of sandy beach along the Porto Santo shore, this 5-star resort in Southern Madeira features 2 natural-style pool areas surrounded by 30.000 m² of gardens.